Finding a smoke machine when you need one, which can provide the smoke you are looking for is damn near impossible without spending a fortune. We understand purchasing a top quality smoke machine for your department can be a large and considerable purchase. That is why we offer our BullEx Smoke Generator for you to rent. Rent it by the day, for a week or up to a month. 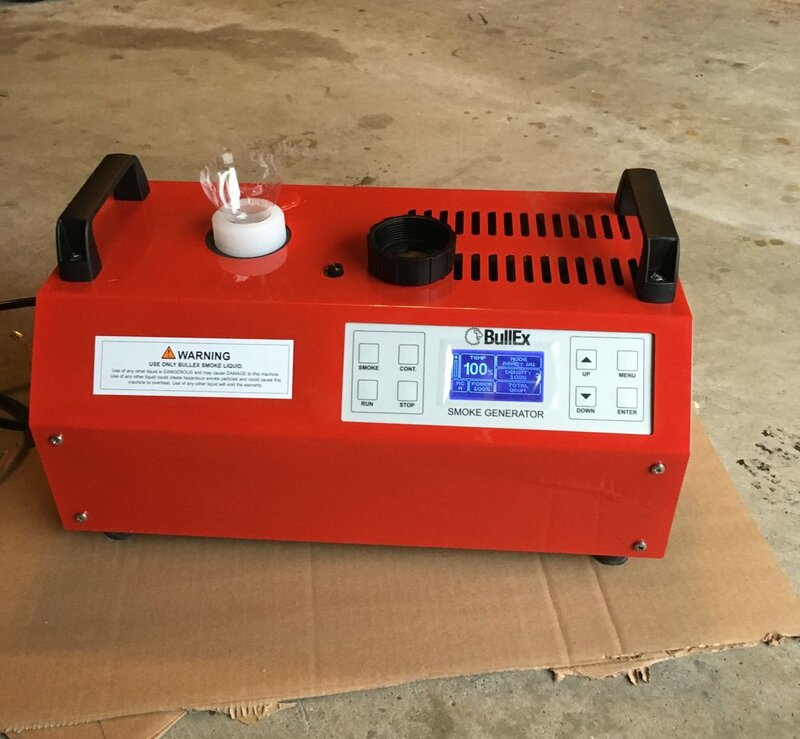 The BullEx SG4000 is a continuous generator that produces high volumes of consistent training smoke. It is specially designed for firefighter and industrial emergency response training. It is one, if not THE ONLY smoke generator on the market that will produce continuous smoke, ideal for creating realistic and intense training scenarios.